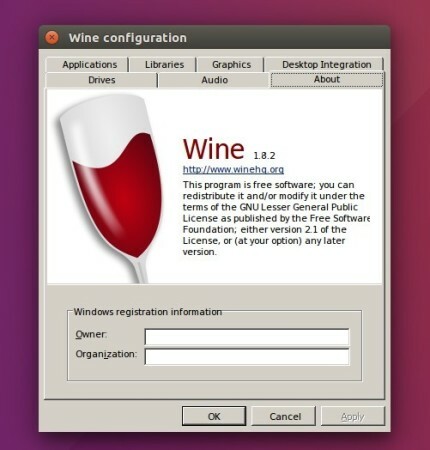 Here’s how to install the latest Wine Stable 1.8.2 in all current Ubuntu releases, while Wine Team PPA still provides the initial 1.8 release. The Wine Team PPA has not been updated for almost 6 months. For those who want the latest updates and fixes for the stable 1.8 Wine series, you may temporarily use another PPA packaged by Rico Tzschichholz. The PPA is named ‘unstable’, don’t use it on production machines and wait the Wine Team PPA if you want a more stable build. Type in your password (no visual feedback) when it asks and hit Enter to adding the PPA. 2. If you have the 1.8.0 installed, launch Software Updater and upgrade it after checking for updates. So far, works for Ubuntu 16.10, Ubuntu 16.04, Ubuntu 14.04, Ubuntu 12.04, and also Ubuntu 15.10. The PPA can be remove via System Settings -> Software & Updates -> Other Software. It doesn’t work on 16.04 dude! !